Mitch has more than 30 years of experience in a broad range of commercial real estate matters, representing commercial owners, developers, landlords and tenants, religious institutions, banks, insurance companies and other corporate and financial institutions, as well as owners and operators of all types of real property, including office, retail, industrial and warehouse, shopping center and multi-family residential properties. real estate litigation, including mortgage foreclosures and negotiation of deeds in lieu of foreclosure. Mr. Gilbert has received an "AV" Preeminent rating (the highest rating available) from the Martindale-Hubbell Law Directory. Before joining Windels Marx, Mr. Gilbert served as Associate Counsel for the New York State Mortgage Loan Enforcement and Administration Corporation (1980-81), a subsidiary of the New York State Urban Development Corporation, now known as the Empire State Development Corporation. Prior to entering law school, Mr. Gilbert was an urban planner with the Nassau County Planning Commission. Represented a prominent academic institution in its 18 year, 55,000-square-foot lease at 333 Seventh Avenue in Manhattan, a deal that the March 19, 2014 Commercial Observer named the "Lease of the Week." Represented the owner of a large development site, adjacent to the High Line park, in a sale to the developer/owner of the Standard Hotel. 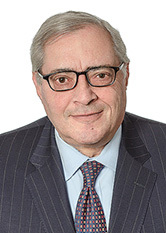 Mr. Gilbert has been a member of both the Association of the Bar of the City of New York and the Real Property Law Section of the New York State Bar Association for more than 30 years.